$50.00 In stock. Order in the next 8 hours, 3 minutes and it will go out today! 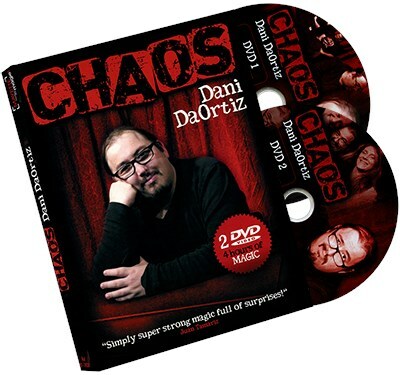 A card magic genius of his generation, Dani DaOrtiz reveals to you tricks, principles and techniques which he has never before published. His magic has a formidable efficiency and a rare intelligence. It is devilishly innovative and involves his huge personality He was proudly welcomed in Paris, France for an exclusive shooting.